Do you know someone who's having a hard time or going through a rough patch? Whether it's work, relationship, or personal issues — or just a hard week — everyone has those days and moments when they can't seem to drag themselves out of the dumps. As a loving friend or family member, sometimes it has to be your job to boost their moods and bring them back to themselves. Wouldn't you want them to do the same for you? When you're looking for a loving, light-hearted way to provide a pick-me-up to someone who deserves some extra good energy, why not send a small gift their way? For a loved one in need of a little extra love, a refreshing bouquet that says "cheer up" is a unique way to offer that well-meaning boost. 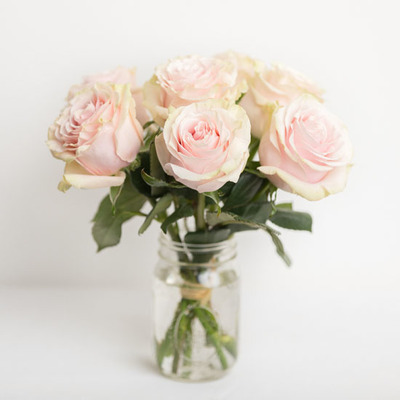 When you need to pamper someone special by showing them you're there for them when times are tough, Ode à la Rose is the perfect place to turn for a high-quality, handcrafted bouquet to make a day. Specializing in high-end flower arrangements with a sophisticated but modern French twist, we're your expert in expressing affection, appreciation, and adoration with heartfelt, elegant, and unique bouquets that will brighten any day. 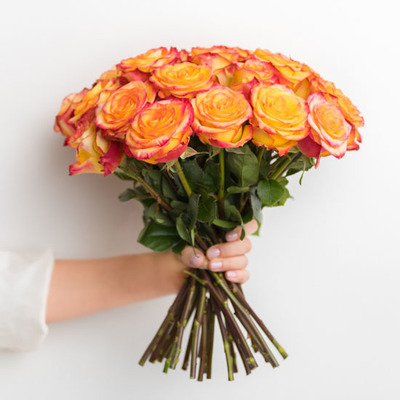 When you want to do your best to tell someone things will look up, nothing says "I'm thinking of you" and "hang in there" like a tasteful, personal bouquet of beautiful blooms delivered right to their doorstep or desk. Here at Ode à la Rose, we know exactly how to arrange our flowers to cheer someone up. Our beautiful assortment of cheer-up bouquets includes a variety of options in color, size and mood to suit your recipient. If you're aiming for a sweet, small gesture, choose one of our simple arrangements, like our Pick Me Up bouquets in pink, yellow, red, or gold to match your loved one's favorite hues — or, send one of our tasteful market bouquets. Our Mini Rose Tin Pails also make a perfect pick-me-up when you just want to send a sweet reminder of your love. If you want a bigger, bolder bouquet for an especially essential case of the blues, our signature Amalfi Cost, Wildflowers & Roses, and Nantucket bouquets are each large, unique arrangements that will leave an impression with their stunning sprays, blooms, and greenery. Why Choose Ode à la Rose? Inspired by the grace, emotion and chic style of the French floral tradition, Ode à la Rose brings its own unique twist of beauty, sophistication, and modern edge to each of our breathtaking bouquets. 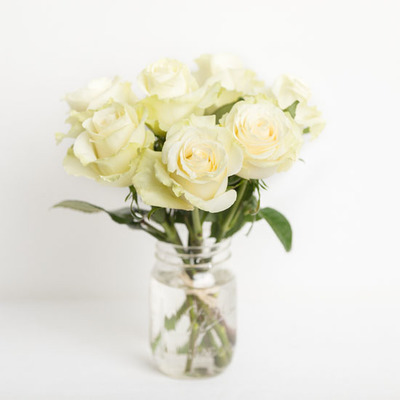 With a passion for perfection, professional quality and a personal touch, we offer more than any small shop or large corporation can bundle into their bouquets. All our bouquets are hand-crafted with the freshest, highest-quality flowers from the best flower farms in the world — and our special, stringent control processes ensure they stay as vibrant and fresh as the day they bloom. Our gifted floral designers carefully arrange each bouquet, hand-tie the finished products with raffia, and package them in our chic signature purple boxes to be delivered in water to your recipient's office or home. Our flower arrangements even come in keepsake vases to remember us by. Bring a little light into your loved one's life by sending a "cheer up" bouquet today, only from Ode à la Rose. You can even opt for same-day delivery.